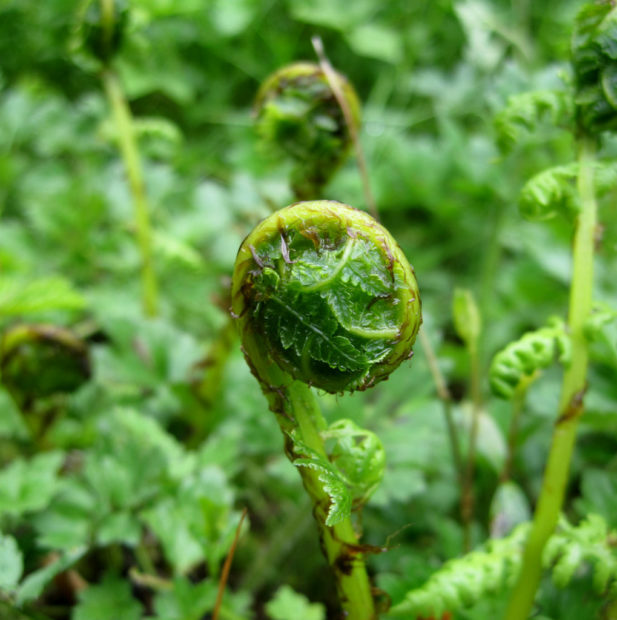 Fiddleheads are the tasty edible part of a young fern shoot. All curled up in a tight green ball, you pick these delicacies in springtime. In our area (Vancouver), bracken fern and lady fern are the two that are found (ostrich fern is the commercial variety, you can find in Northern BC). To hunt for ferns, find areas where a coastal douglas fir forest (for example) meets a meadow, bracken ferns seem to like the edges of forests. Lady fern can be found in fir/hemlock forests alongside sword fern(not edible, though the roots could be eaten as starvation food). Lady fern(Athyrium filix-femina) habitat: wet alluvial forests, glades, streambanks, gullies, slidetracks, meadows, swamps and rock outcrops from the lowland and steppe to alpine zones. The shoots are tender and green (pic) very little hairs on them. Don’t harvest all the shoots from one plant, take one from each fern to make sure you don’t kill the plant. Take your bounty home, boil the ferns in hot water for 5 minutes and then shock them in a ice cold water bath, leave them there for 20 min and change the water out twice. Now they’re ready to be sauteed in butter, garlic and lemon. Great as a side dish. 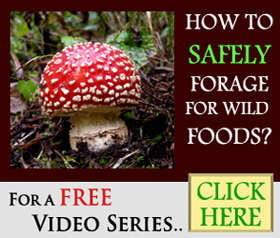 To learn more about foraging for spring edibles or fall edibles (mushrooms) in Vancouver, come out on one of our wildcraft expert guided tours, more info here.